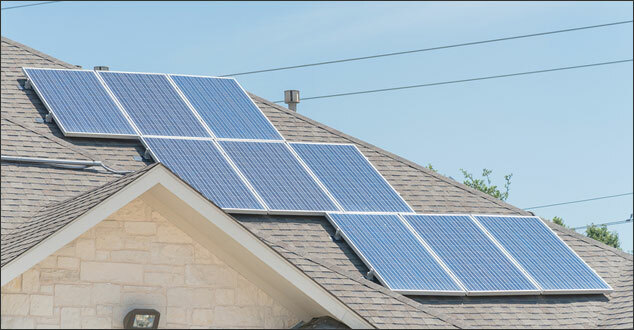 Are you considering having solar panels installed on your roof? If you live in Michigan, you have probably seen an advertisement for investing in roof solar panels. In fact, this is the third straight year that Michigan legislators have brought an “energy freedom” bill package before the Michigan House. The bills are aimed at making it easier for homeowners to invest in roofsolar panels. Although Michigan is not top among states with many financial incentives to invest in solar power, there are still some incentives here. If you are considering whether or not to invest in rooftop solar panels, there is a lot to know before making that decision. From a roofing standpoint, there are some significant considerations you need to keep in mind. Before you can make a wise investment in roof solar panels, the first thing to consider is whether your roof is damaged or needs to be replaced. If you know you’re going to need a new roof within the next few years, it might be the perfect time to make an additional installation of solar panels after you have your new roof installed. If your roof is in the middle of its lifespan, you will need to have a professional inspect it. What you don’t want is to install solar panels which are under warranty for 20 years on a roof that only has 10-15 years left on its warranty. You will have to add the cost of dismantling and re-installing solar panels after a new roof. The best way is to try to match the warranty times of your new roof and your new solar panels. 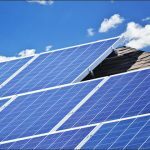 If this isn’t an option, get the opinion of a professional roofing contractor who is familiar with solar panels and how they can impact your roof. Is Your Roof Structurally Capable Of Handling Solar Panels? Asphalt shingles are already heavy. Some houses were designed to offer enough support for a typical roof. However, they may not have the capability to handle the added load of solar panels. You will need to have your roofing structure assessed before those solar panels are installed. If you don’t and the structure can’t support the load, you could be headed for major trouble. The weight could cause the roof to collapse. No one needs to be told how much that would disrupt your life and finances. Is Your Roof A Good Candidate For Solar Panels? Another critical factor is the size, shape, and orientation of your roof. Is it big enough? Is the slope at the right angle? In addition, does it face the right direction for solar panels? Most experts say you need to have south or west-facing solar panels to get the maximum return on your investment. If your roof doesn’t meet one or more of these requirements, solar panels won’t be worth your investment. How Will Solar Panels Impact The Integrity Of Your Roof? The installation of solar panels can leave holes in your roof. If these aren’t properly sealed, they can cause leaking and ultimately damage to your home. Likewise, the presence of solar panels changes to the way water flows off your roof. In some cases, water gets trapped in certain places. If you decide to install them, make sure you have a contractor who will be concerned with the structural integrity of your roof. The decision to install roof solar panels is a big one, considering the potential energy savings. Remember it can also have a significant impact on your roof and consult accordingly with a qualified roofing contractor. If you are interested in having your roof evaluated and live in the southeast Michigan area, please give us a call. We are here whenever you need us.